Tripura has affluent cultural tradition which include 19 different tribal communities, Bengali and Manipuri communities. Each community performed unique dance forms which are famous in the country. The history of Tripura is divides into two distinct periods. The first is traditional, legendary period described in the Rajamala, a chronicle of the supposed early kings (maharajas) of Tripura, and the second period since about 1431–62, the supremacy of the great king Dharma Manikya. The Rajamala, written in Bengali verse, was written by the Brahmans in the court of Dharma Manikya. 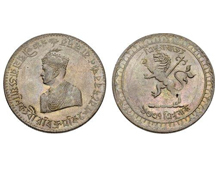 The State of Tripura was considered as a generous state and the last king ruled in this state was Maharaja Birbikram Kishore Manikya Bahadur. After his death in 1947, a Council under the leadership of his widowed wife Maharani Kanchan Prabha Devi took over the charge of the administration on behalf of minor prince Kirit Bikram. The kingdom came to an end on 9th Sept, 1947 and Tripura was combined with the Indian Union as a part 'C' State, administered by the Chief Commissioner. Tripura became a Union Territory on 1st November 1956. The territorial council was formed on 15th August 1959, which was later dissolved and a Legislative Assembly with a council of ministers was formed in July, 1963. Tripura became an independent state in 1972. On 1st September 1970, Tripura was divided into 3 (three) districts, namely, North Tripura, South Tripura and West Tripura. Later the fourth district called Dhalai was created which started functioning from 16th April,1995. Historical facts signify that all though Tripura was occupied by force of arms in 1761, Political agents were not appointed in the State till 1871. It was an independent administrative unit under the Maharaja even during the British rule in India though this independence was qualified, being subject to the recognition of the British, as the paramount power, of each successive ruler.